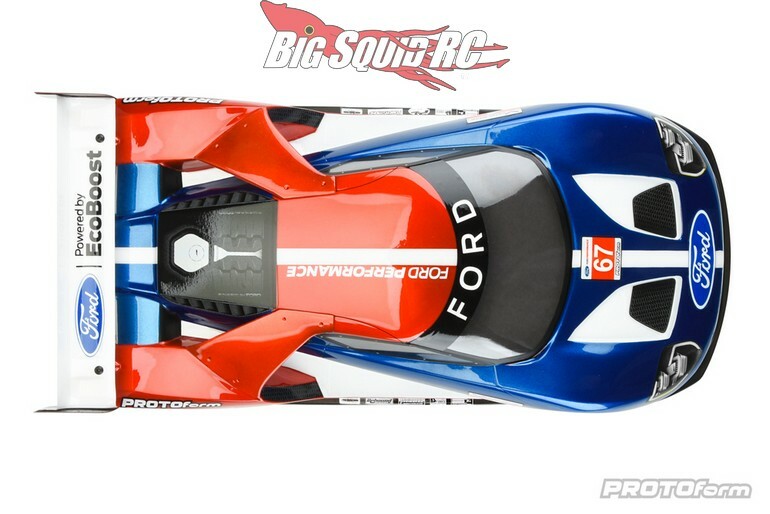 PROTOform Ford GT Clear Body « Big Squid RC – RC Car and Truck News, Reviews, Videos, and More! 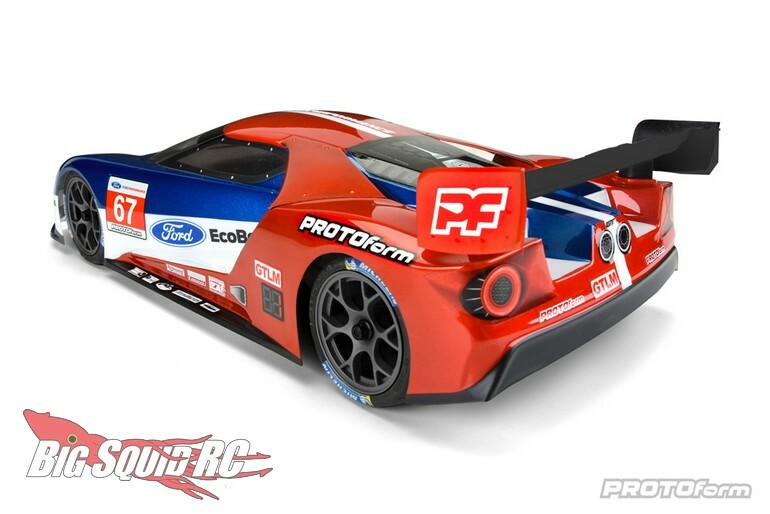 Now here is a hot looking on-road body, the new Ford GT from PROTOform. 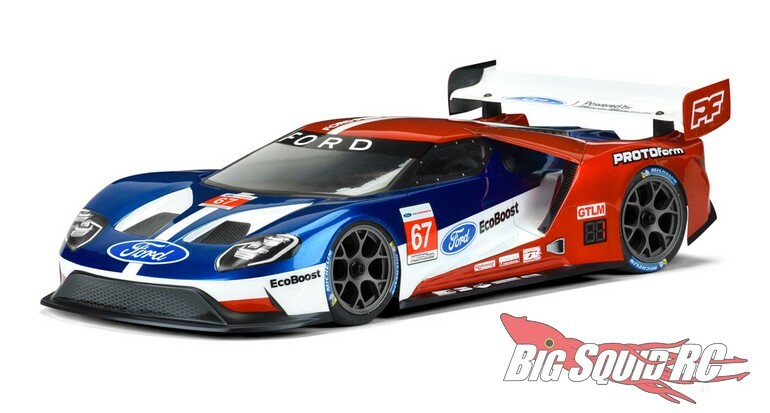 Already one of the best looking cars on the road, the designers at PROTOform have worked up a full race edition Ford GT designed for 1/10th scale USGT carpet racing. 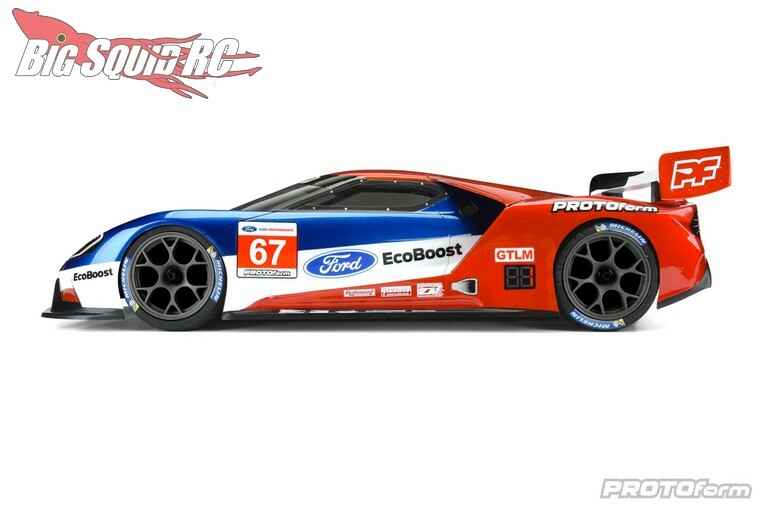 The P-F Ford GT uses an ultra-low stance, along with side wings, to look awesome, while also helping you lower lap times. Street pricing for the body is listed at $33 and it has a part number of #1550-25. Hit up This Link for complete details, or Click Here to read more PROTOform news on BigSquidRC.